To find which option is the best siding for Midwest homes takes time and research. In the end, however, you’ll be confident you’ve made the best siding option for your home. Determining which siding materials stand up to winter weather the best depends on features such as moisture protection, maintenance and longevity. Here in the Midwest, we see weather that can vary day-to-day. Making a good decision to choose the best siding for Midwest homes in your area is based upon options for your region. Talking with your installer or retailer about your questions can help ensure your decision is best for your area. Siding protection from severe winter weather needs to meet certain requirements. Siding which standing up to harsh winds, siding that prevents moisture and frost are good requirements to start with. Vinyl’s siding is a top contender for homeowners and for good reason. Vinyl siding has a low cost and provides reliability. Vinyl siding also resists warping and cracking that can happen during seasonal shifts from extreme hot to bitter cold. It’s important to note, though, in extreme heat temps, vinyl siding can melt and cause severe problems. While these vinyl siding issues are mostly seen in areas where irregular weather patterns occur, it’s enough for those living in the Midwest to take note of the extreme temperature concerns with vinyl siding making choosing the best siding for Midwest homes important. Another vinyl siding concern is denting. Vinyl dents rather easily from hail, baseball or even power washing. Vinyl siding doesn’t pop back out either. Replacing the damaged siding can be a difficult task due to the interlocking pattern. If able to be replaced, color matching now becomes an issues with vinyl siding. Vinyl siding in South Dakota warrants further pros and cons much like other Midwest states. An upfront, lower cost may lead to unanticipated, high expenses in the future. 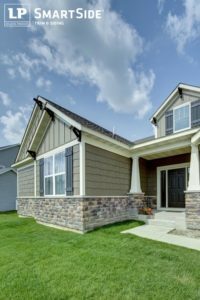 While vinyl siding may not be the best siding choice for the Midwest, there are other options to consider such as fiber cement. Naturally water resistant and durable, fiber cement siding prevents moisture from seeping into the material and your home. 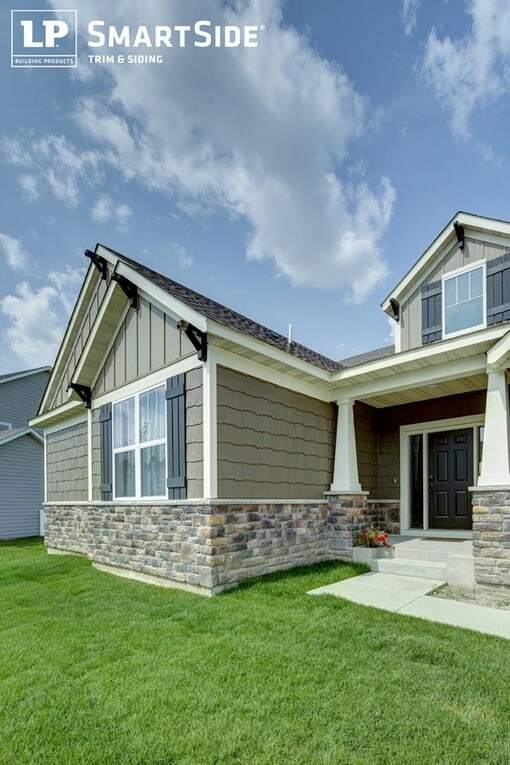 Fiber cement siding has no gaps making it an excellent choice for moisture blocking. Bonus when it comes to snow, rain and other weather elements the siding must endure. Cost should also come to mind when purchasing fiber cement siding. Labor costs tend to be as much as 2-3 times higher than aluminum or vinyl siding. Avoid the cost of the siding choice if you plan on moving soon. Fiber cement also requires painting after about 15 years, however, taking into consideration weather it may need to be repainted prior to the 15 year mark. Another considering when choosing the best siding for your Midwest home. Wood siding offers many benefits such as durability and being an Eco-friendly siding option. It’s generally easier to install than most, if not all, other materials. LP SmartSide Trim & Siding is a major player in the wood siding industry. They offer a line of high-performance trim and siding products that provide beauty and strength. Although it may not be the best siding for Midwest homes, it’s a strong contender due to the durability of the wood. Labor costs come into play with wood siding as well as it’s considered reasonable. Wood siding averages between $4.00 and $14.00 per sq. ft. installed. The range is depending upon your chosen product depending. Metal siding and roofs were made for winter weather. They are resistant to hail damage and won’t warp due to moisture. While they are a bit more costly than other materials, their longevity and the protection they provide are well worth the investment for homeowners who live in areas with harsh winter weather. Metal is also lightweight so you can save on engineering and building costs as well. This may offset the initial costs which is considerable higher and can range from $150 to $600 per sq. feet. Keep in mind, metal siding is noisy and although it can be controlled, it will add to the initial costs from insulation and solid plywood sheathing.